Jennifer Wong read with us last month in Kubrick. She shared about her experience transforming from working as a government officer to pursuing her passion in poetry. Now she is working on a PhD in poetry and poetics at Oxford Brookes University, with a focus on the idea of homeland and ethnic identity in contemporary Chinese American poetry. 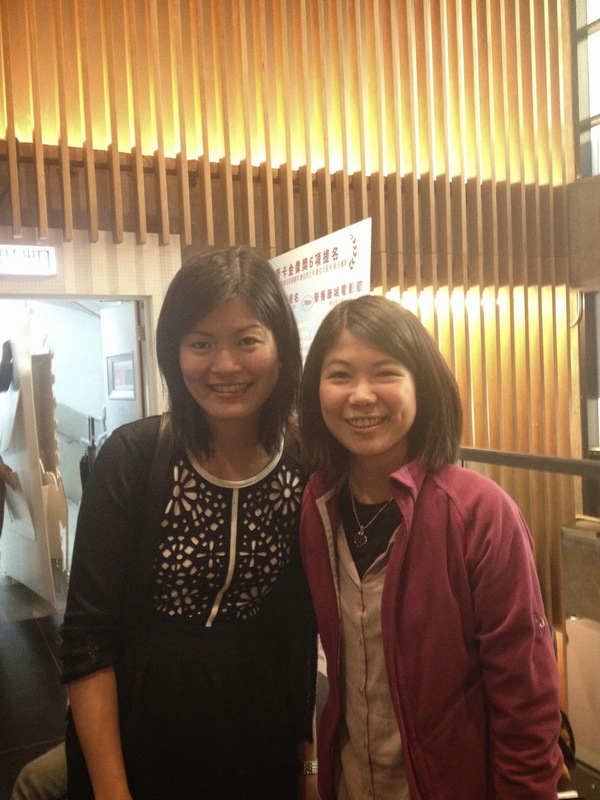 Jennifer Wong is humble and very approachable. She is genuine and generous towards people around her. My first acquaintance with Jennifer is through her first poetry book, Summer Cicadas. I bought it in a second-hand book sale at a book fair. I was caught by the cover of the book, a thoughtful and quiet stare of a young girl in short hair. Poetry connects people of the same interests. Now I had the privilege to invite her to read. She is exactly the person that I imagined, or even better, well-educated, kind-hearted, thoughtful and comfortable. She read three poems from Summer Cicadas, three poems from Goldfish, her latest poetry book. Her early poems speaks of her emotion and feelings in “Morning at Queen’s Lane Coffee-house” and her daily observations in “Ferrying Across”. She describes the moment of ferry docking from the perspective of a tourist in the delight of a new experience. In Goldfish, her style changed. There are clearer images and shorter stanza. She re-writes some classical Chinese poems and lyrics in the Tang and Song Dynasty. She chose a few that depicts Hong Kong current affairs, ‘What Happened to Miss Chang’ and ‘Shanghai Street’. The last one, ‘My Last Monologues’, explored her deeper emotions and touched on her personal growth. The participants then discussed about whether they relate more to poems on personal topics or poems that narrate our objective surroundings. Ha Jin, a contemporary American-Chinese poet and novelist, once said in a book fair that what touches the innermost of a reader is a personal recount of an experience, because it concerns not just one specific person, it concerns everyone. snow and orphaned leaves with nowhere to go. May I ask what still clutches the soil? And what’s that quivering in your bag? The window is always left open. Window and the winter chill. Do you have a black forest? Does this personal circumference also your protected boundary?